With an estimated 500 people in attendance, last night's show in Jacksonville was sold out. - Dan Matha cut a heel promo where he issued an open challenge. It was answered by Keith Lee. 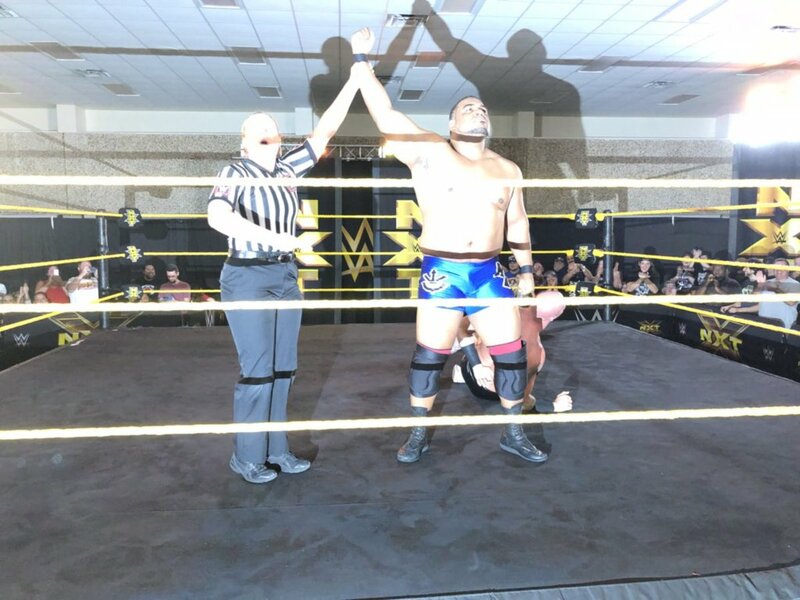 While he had his first match for WWE at NXT's television tapings earlier this month, this was Lee's house show debut. The former WWN and PWG Champion was shown sitting in the front row at TakeOver: Chicago in June and was then officially introduced as part of the newest class of NXT signees last week. Lee got a quick win here, defeating Matha in under a minute.